Q. Captain, what do you think of the way that Ashwin is shaping up, No. 1? And number two, in the last match we saw, the competence in batting do well. Today we saw the spinners put things back. How do these teams matter in a long tournament like this when you see different parts coming together? MS DHONI: I think the crucial part is for everybody to score runs to get wickets and to bowl well. Because ultimately in the knockout stages you don't really know who all you may need, so it's important that everybody gets a bit of confidence going. As you rightly said, most of the batsmen have got some kind of a batting so far. The bowlers have done well in this game. The spinners they bowled really well. As far as Ashwin is concerned, obviously he's someone that I always love to have the reason being I always pushed him to bowl in the power plays and even have used him whenever I'm in difficult situations. So he is really confident about his bowling. He understands his bowling well. I believe he has learned in the last few foreign tours that he's learned a lot out of it. The good thing with him is he keeps improving himself. Every time he's part of the series, he sees the challenges and accordingly he improves. So it's obviously good to have him, and it's good to see him bowl really well. Q. Is your biggest challenge now keeping yourself motivated because Zimbabwe is a meaningless game for you? MS DHONI: We're highly motivated, in this game also. If it comes to the points, we have qualified for the next stage, but still, it was a challenge in itself because the traveling issue that we had. A lot of boys didn't get enough sleep before this game because of the time we landed and the traveling that we have to do and all of that. So every game pushes you to do something special, and I felt we all came everything and yet we did really well on the field. Same way the next game will be the last before we get into the knockout stages, so we'll keep improving every game, and that's our motive to keep improving in every game so that we can maintain the forward shift that we have got. Q. Shikhar Dhawan, the way he played in the Tri Cities and before that in the test cities, they do have a one to one session with him and you motivated him. Can you share with us? Yeah, he's supposed to be back on 16th. MS DHONI: You know, it's important to bat players, and we try to do it to the extent we can. And I felt though he had a tough series, still I felt we had put a lot of effort in him and not to forget without his contribution it would have been very difficult to win the Champions Trophy. So we always believed in him. But the final step that needs to be taken from the individual, and I felt he prepared well for these ODIs, and it obviously takes time but I have always said, it's those 15 minutes that really changes everything, and I'm glad he got those 15 minutes. What he's doing well is making the most out of it. As you know you may go through tough periods where you may not score runs, and you may get good deliveries, but it's important to think about the process. Whatever your limitations are, you keep improving on those areas. Whatever your strength is, you make sure that whenever it is in that particular area you make the most out of it by getting a boundary. But overall the difference I've seen in his batting is once he gets a start he makes a good -- you can say he takes that as an opportunity to reward that start into big innings, and right from the first game that's what he's done. He's not someone who is happy getting a 50. He knows that the team needs him to score big runs. So once he gets to his 15, he hits the next milestone which is a hundred. With him doing that, it becomes slightly easy for some of the other guys to bat around him, because it takes that responsibility. He's someone who can also accelerate at a decent pace. He uses the pace of the bowler and can bat aggressively. So all in all, I'm quite happy with the way he's gone forward because it's not that he's he to come out of a phase where you've not scored a lot of runs. But at the same time I think he's prepared well and he kept believing in himself. Because it's always the individual that starts to question that belief, because everybody believes in the individual, but at times you start questioning yourself. I felt his preparation was good, and that's what really helped him score runs. Q. You've had a very good start so far in the series, and today that didn't happen and you quickly changed plans. How important is it for yourself to be that flexible? How do you see the bowlers responding to your change of plans? MS DHONI: I think that's very crucial because if this was a very important game for us, maybe I would have brought in the spinners closer to the fourth over because we fell from behind that they will be assistance because a few slower ones will bowl. It definitely got a bit of bounce. By bounce, I mean just gripped on to the surface and there was a bit of bounce for them. So if it was a really crucial game for us, the spinners would have come on really early. But I wanted the fast bowlers to have a bit more go also, the fact that they bowled well. I thought maybe I can still use the new ball, get a few nicks if possible. But it was coming on nicely to the back, the new ball. Even though the slower one was getting stuck a bit. So I said, I thought let's go ahead with the fast bowlers for a bit more time and bring on the spinners. That's what I really did. 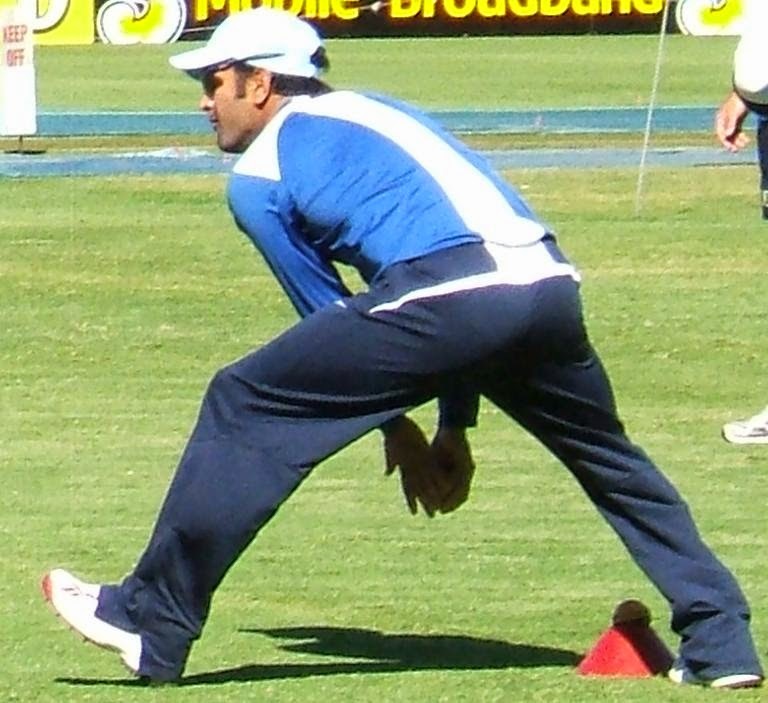 Flexibility from the bowlers side is also there. They quite understand you. They don't question too much. It's not always that when the bowler is not bowling well, it's also about maybe how the condition is right now. This bowler may do slightly more with the new ball. According to that, I have my bowling changes planned. So they take it in the right stride, and that I feel is important, because at times you feel this is a time you can get the wicket. As a bowler, you may be disappointed. But what's really good is they take it as a plan and they take it as a strategy which helps them to always be positive. So it was one game where they went for runs. They did go for runs. But it was just stopping enough for the batsmen to play the short, but still the new ball was coming on. So good learning curve for them. Maybe if they play the next game they'll do it slightly differently. But I think when we're playing Auckland, the wicket will be different. I think this is the slowest wicket you'll see, and all the other wickets are quite similar to what we've played so far. Q. Your team is playing with a lot of confidence. You had a lot of momentum on your side. Obviously the tour to Australia didn't go according to plan. What's changed that your team is on top of its game right now? MS DHONI: Well, we've been in those difficult situations before. They say experience counts, but it's not a very good one to have. It was quite similar to the 2011 experience when we went to England we didn't really win anything. But at the same time what was important was what you learn out of those series or tournaments or Tri-Series, and I felt the boys absorbed really well. They knew what would be thrown at them. Also the break that we got in the middle, we made a conscious attempt as to take it as a break that divides the two series. The whole of Australia series and Tri-Series as one big tour followed by a ten day or eight-Daybreak and we go into the World Cup. Also the presence of fans really helps. The moment you start thinking about participating in the World Cup, the whole environment is up, and at the same time so many people are coming from India, and starting with the India-Pakistan game, that was fantastic. So that gives you that extra edge that pushes you one step further. But ideally individuals will have to lift themselves up because it was not an easy test series playing four Test Matches in a month's time is very draining. Not to forget, it was always the same bunch of players playing the Test Matches. So it was a challenge in itself, and I felt we came back strongly now with the World Cup campaign, and hopefully we'll keep moving forward with the kind of momentum we have. Q. You used about four spinners across 30-odd overs. Almost you were in experimentation mode. Do you feel that's when you're at your best as captain? MS DHONI: No, I'm best when the bowlers are bowling well. It makes the job slightly easy for me because you have a plan. But unless it's executed well it can make you look like a good captain, but at the same time it can look like what is it doing, because it all depends on execution. You may have two slips, but if the bowler bowls on the pads, it doesn't really look good. I feel that's where the remarkable difference has come from the bowlers end. They're bowling according to the plans. At the same time they're quite aware of the field and they're bowling according to the field, which is a big change. Also it is reflecting in our performance so far. So I feel it was not much of an experiment. It was more about adapting to the conditions. I saw it was slightly slower wickets, so I used that extra part-time spinner that we have. And Suresh whenever he's got a bit of a system, he's proven himself to be a proper bowler. So it was good. He also got a game, a proper bowling spell of 10 overs. So I felt it's not experimenting, it's more about using the resources that we have. Q. Equalling Clive (Lloyd) for the number of victories which is nine in World Cup matches, and two, you've talked about several reasons for this tremendous transformation. MS Dhoni, the captain after giving up the test captain seat, are you also refreshed in your mind? Are you stronger and better as the captain? MS DHONI: I'm just the same. The things that have changed are the (Indiscernible), apart from that the players are the same, so I don't think that has anything to do with the test captainship. But as I said, what the bowlers are doing is something that I have not seen for a long time, particularly with the Indian team set up. You used to keep telling them bowl to one line, bowl one line, and that creates pressure and everything like that. But it was more like a said thing that was listened by them. But now they have seen it and they have tasted it. So hopefully even after the World Cup campaign, once we go back and play all different teams in IPL and we come back for the test series and we're again coming back and playing outside the sub-continent, they'll still have this memories in their head that outside the subcontinent a lot of time you have to stick to good lines and lengths, and that's something that rewards you. That will definitely change a lot of things for us. A lot of trouble that we have been having, that will be sorted. So hopefully it's something that we are hopefully -- we are thinking hopefully they'll retain all the things that have been given to them and how they have learned it. As far as the records and milestones are concerned, the most important thing is winning the game for your country. It doesn't really matter what the milestone is. Definitely it's something that every player will be proud of. The last World Cup all the team members thanks to them and the current team also because it's a team effort. At the end of the day, we play a team sport, and everybody needs to enjoy it. Q. What makes this Indian team such a crack fielding unit? We have seen some great fielding in this World Cup? What's making it so special? Is it drills, fitness, what is it? MS DHONI: I think fitness plays a major role, but please don't quote me as the last team is not fit because it's an easy way of going that way. But if you see the fielders a lot of them are fit. A lot of them are to some extent you can see the new generation cricketers which gets slightly better facilities, good grounds, so diving comes quite naturally to them. The fact that all of them are quite fit, and most of them are agile on the field. You may be fit but you may not be quick. But over here if you see the 11 that we played, almost all of them are good fielders. There may be one average fielder in the whole 11, but when you have extraordinary fielders backed by really good fielders, you'll have a side that can outfield some of the other sides. When it comes to this World Cup they are fantastic individuals who can feel really well in all of the teams. But they have quite a few players that you can still target. Some of our boys will also be targeted because the fields are big. But if on average, if you see we are -- you can say we are an above average fielding team. That is the reason why we have been getting run outs quite frequently, and it's reflecting in our playing also because that shift of momentum is needed in the middle overs. Maybe a good catch, it may be a run out. But that's really something that's really working in our favor.